Following is a transcript of a speech given at the Official Launch of The Cranky Penguin MTB Marathon. 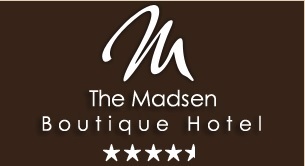 The speech was given y Phil Champassak from The Madsen Accommodation, which is our Gold Sponsor for the 2015 event. The Madsen is delighted to be the Gold Sponsor of the Cranky Penguin MTB events for 2015 and 2016. We sponsored last year’s inaugural Cranky Penguin, and even my son and I volunteered as marshalls to get a feel for what was happening, and enjoyed it very much. The Penguin community and further afield in the Central Coast and beyond needs to support the MTB Park and the various events that will eventuate spinning off the Cranky Penguin marathons, to include family outing events on the less challenging parts of the course, the kids-specific track, and other non-competitive rides so that we will be able to cater for all sections of the community. The health benefits for the community should not be underestimated. And the economic benefits that this will bring to Penguin and our region will increase as the reputation and brand of the MTB Park and the Dial Range becomes more prominent. Over time we will need to provide more services to visiting MTBikers, not just in accommodation, hospitality like cafes and restaurants, but even the creation of business opportunities directly tied to the infrastructure, such as guided tours, bike hire and repairs, food and coffee stalls when events are on and so forth. I know, unlike other developed bike trails around Tasmania, that our venue offers a spectacular seaside vista with Penguin at the foothill of the Dial Range, enabling MTBikers to pick and choose their courses during the day, coming back to the township for a well deserved coffee break or lunch. To conclude, I’m mad. And cranky. Madsen of course!